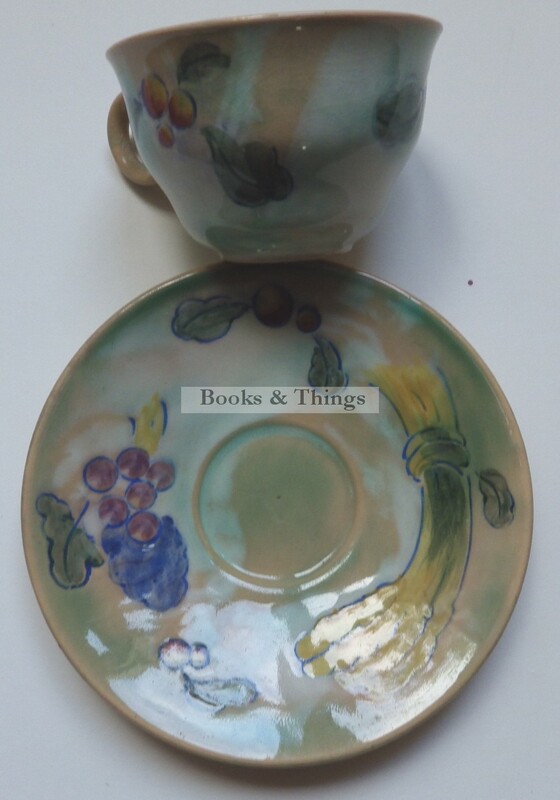 Frank Brangwyn: Cup & saucer for Royal Doulton c. 1935. Cup 9.5cms diameter, 6cms high; saucer 15cms diameter. A little craquelure in the inside bottom of the cup. Category: Designer Ceramics. 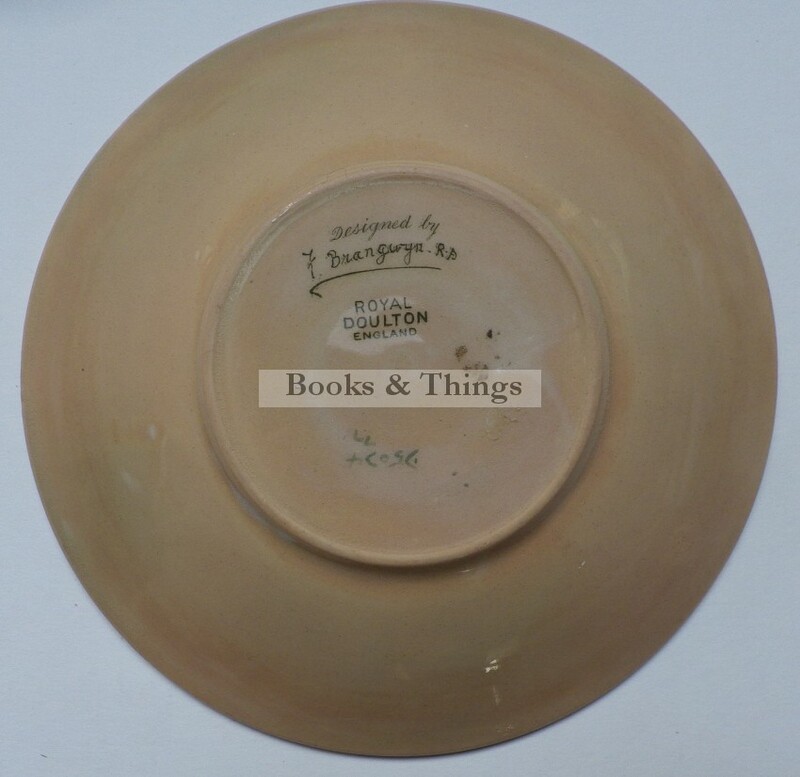 Tags: Frank Brangwyn, Frank Brangwyn ceramics, Royal Doulton.